By Jesse Muñoz For The Signal The College of the Canyons women’s volleyball roster looks a lot different than it did a season ago, but the mentality of the team hasn’t wavered. 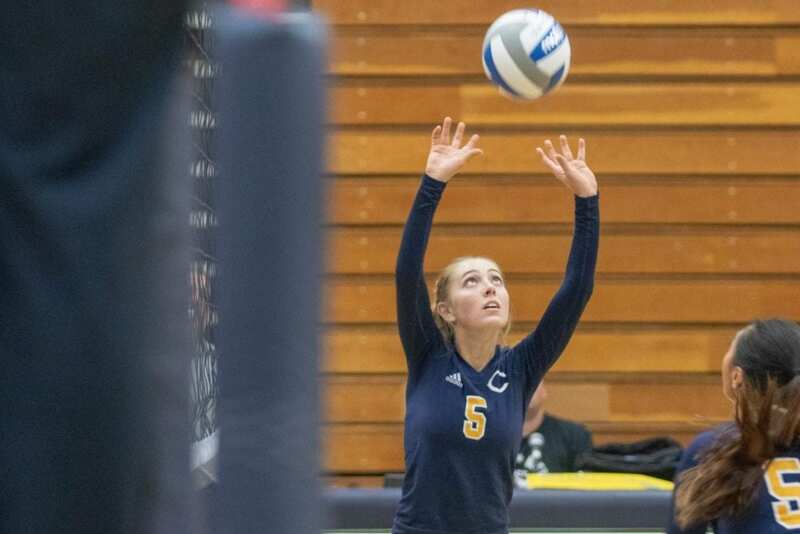 Gone are conference player of the year Emily Burns and the four all-conference honorees that helped lead Canyons to the California Community College Athletic Association (CCCAA) State Championship tournament. Ready to step in is a trio of seasoned sophomores and a class of nine freshmen with one common goal — do it again! “That’s been our goal from the get-go, we want to do it again,” said COC head coach Clay Timmons, who enters his third year at the helm and 14th season overall with the program. “Knowing all the players we were not going to have back, there was a lot of recruiting over the summer. So far all of the freshmen have really done a great job understanding what the culture is here, and what we expect out of our seasons.” In recent years, COC “seasons” have included four Western State Conference (WSC), South Division championships (2013, 2014, 2015, 2017) and two state championship tournament appearances (2015, 2017). “We’re a whole new team,” said COC sophomore Toni Bito after Wednesday’s season-opening victory over Glendale College. “But we’ve been practicing really well, so I feel like we can take some of the parts we had last year and incorporate it into this season. Our mindset is to start off at a high level, and then keep working hard.” Bito, a Valencia graduate who earned All-WSC honors in 2017, is joined by returners Shayla Johnson and Golden Valley alum Ciera McGuinness in forming COC’s sophomore core. College of the Canyon’s Cierra McGuinness sets the ball to Toni Bito in a game against Glendale College at COC on Wednesday. Eddy Martinez/The Signal.